We now live in an age of fake news, consistent and uncontrollable lying from the highest office in the nation and supposedly intelligent political leaders opening denying the scientific claims and clear evidence of climate change. Blind belief in anything has become more dangerous than ever before. We need to question everything, and that includes our own beliefs. But, Einstein is absolutely correct. 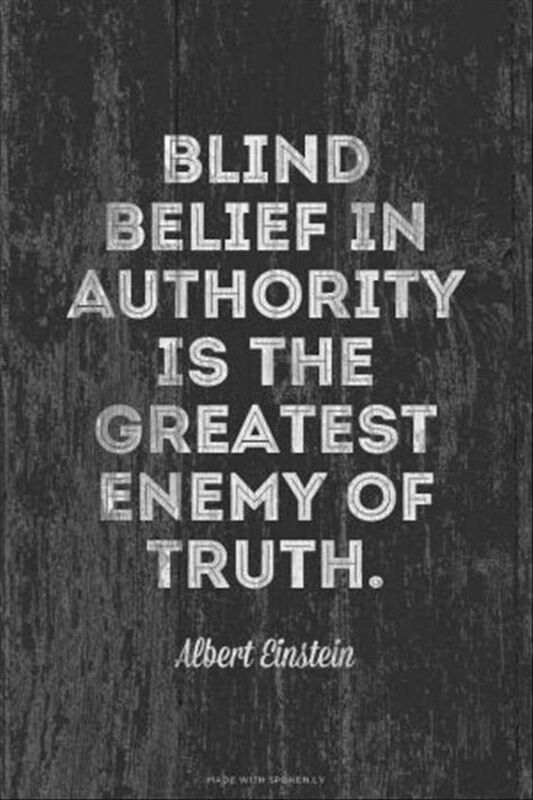 Blind belief in authority is the greatest enemy of the truth. This entry was posted in News & Views, Quotes and tagged Albert Einstein, authority, blind belief, BLOTUS, climate change, denial, enemy, fake news, global warming, political leaders, questions, truth, uncontrollable lying on April 19, 2017 by Ray Buchanan.